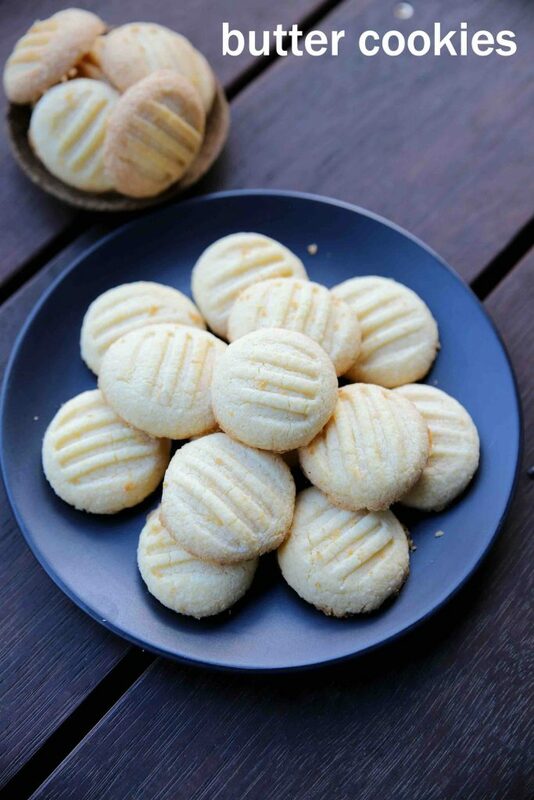 butter cookies recipe | eggless butter biscuits | easy cookie recipes with detailed photo and video recipe. 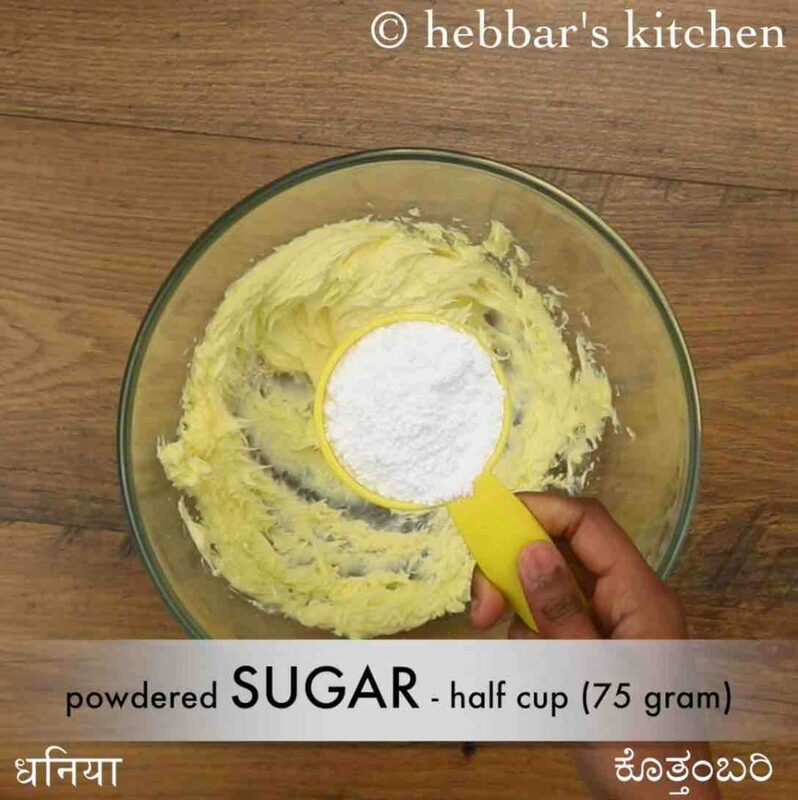 easy and simple cookie or biscuit recipe made with just 3 ingredients, i.e butter, maida and sugar. it is simple and can be easily baked in an oven or in a pressure cooker to yield a crisp and moist cookies. it can be easily served to guests or for kids with a cup of hot beverage drink. 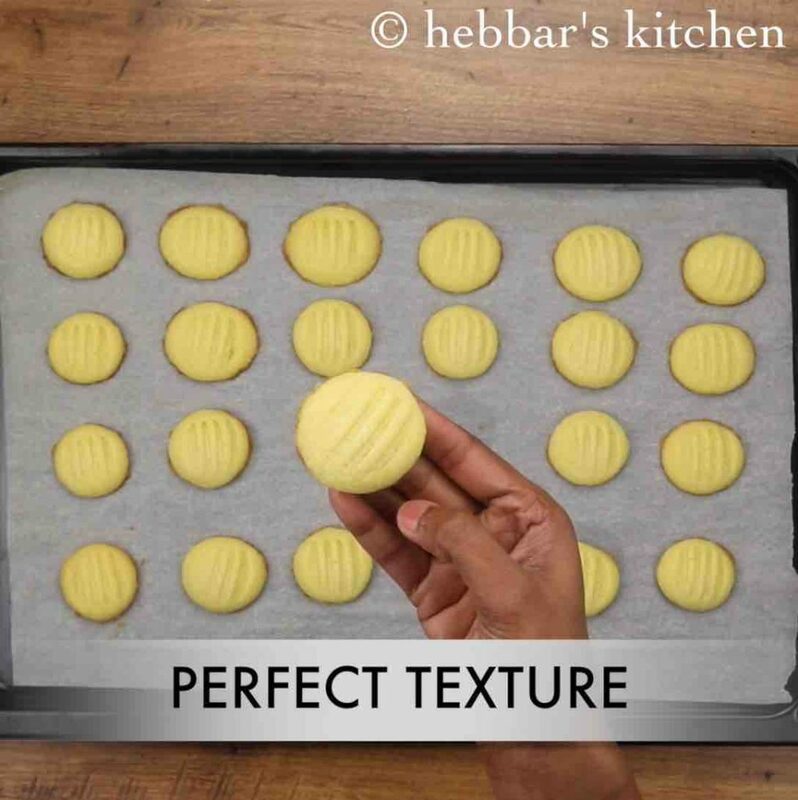 butter cookies recipe | eggless butter biscuits | easy cookie recipes with step by step photo and video recipe. cookie recipes or biscuit recipes are always a popular snack consumed by almost by every age group. it can be served with a cup of tea as a condiment or perhaps as a simple dessert after a satisfying meal. 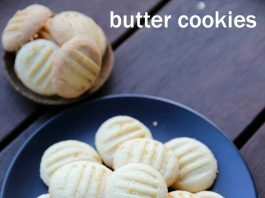 this recipe post belongs to one such easy cookie recipe which is also known as butter cookie recipe. cookies have always been my favourite snack recipes which i not only enjoy with my tea but also as an evening snack. to be honest, i always prefer to buy these flavoured cookies from the store so that i can explore multiple options. but i was getting several requests for a simple and basic cookie recipe made with basic ingredients. i have already shared a chocolate cookie, but this i wanted something with fewer ingredients. 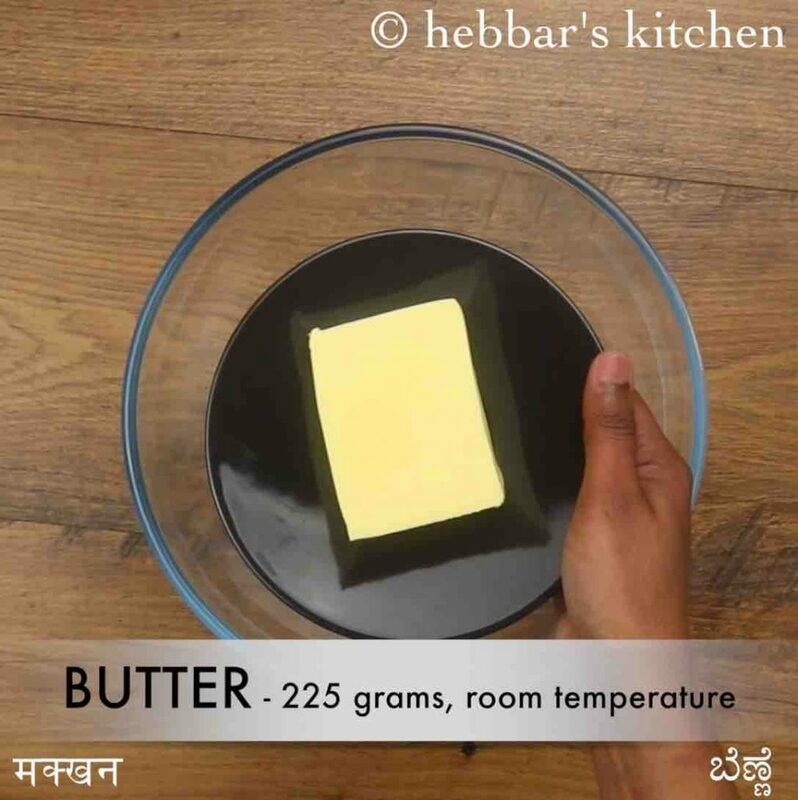 hence i thought of sharing the butter cookie recipe with just 3 ingredients. of course, the recipe can be easily extended by adding other flavours like vanilla and chocolate to it. also, the recipe can be extended by adding nuts and raisins to make it crunchy and nutty. 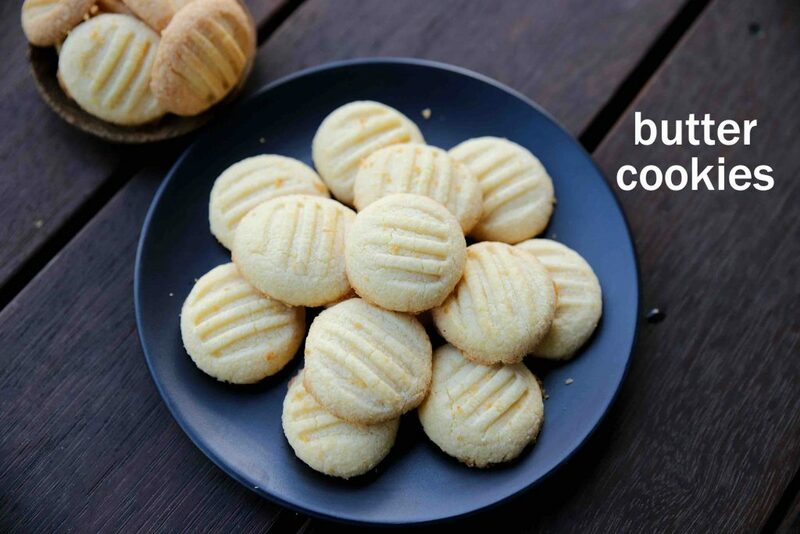 furthermore, some easy and simple tips for the eggless butter cookies recipes. 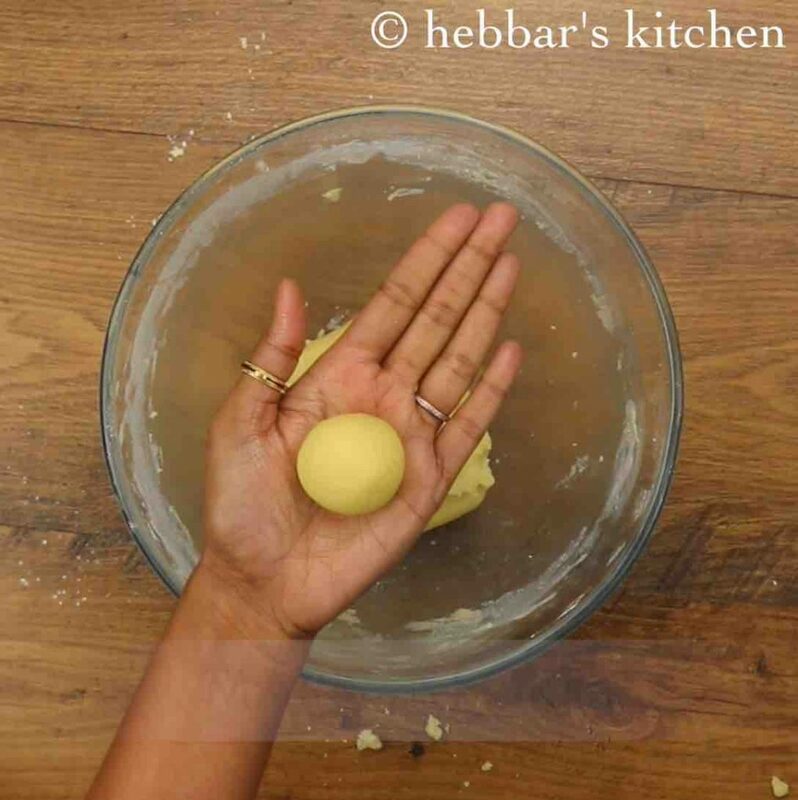 firstly, in this recipe i have shown and shaped it to a basic round or oval-shaped cookies. if you have patience or if you prefer, you can shape it to any required shape with a shaper. secondly, once the cookies are baked, you can add any frosting as per your choice to it. i have not added any but you can simple topping like fruit jam or even nutella and peanut butter. lastly, store these cookies in an airtight container for a longer shelf life. it should last longer for a week and may turn soft and lose the crunchiness if not preserved properly. firstly, in a large bowl take 225 grams of softened butter. 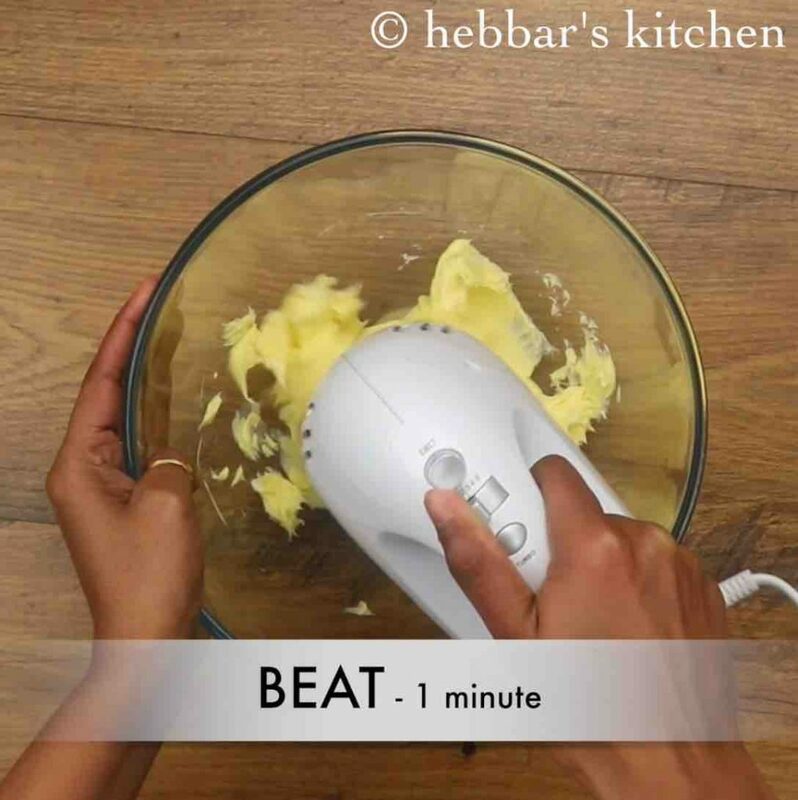 whisk/beat smooth for a minute. now add ½ cup powdered sugar and continue to beat. 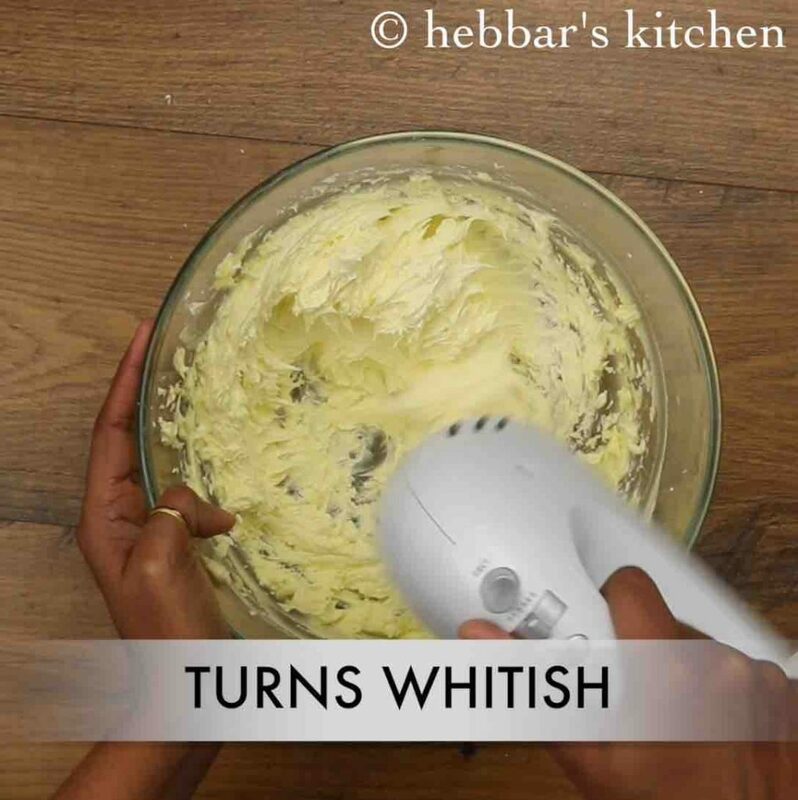 beat until the mixture turns smooth and whitish. further sieve 1½ cup maida and pinch salt. 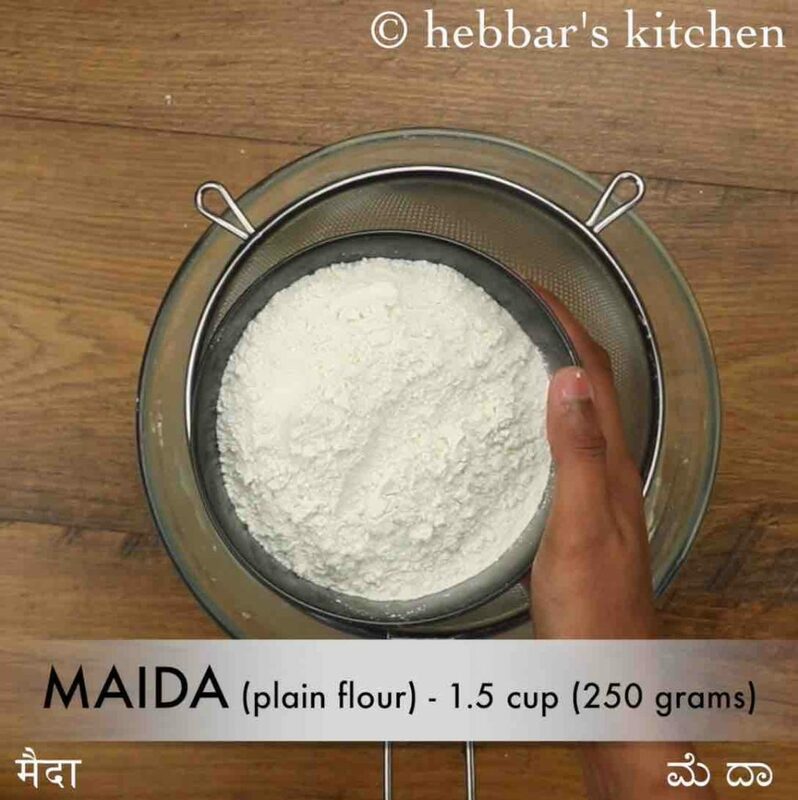 mix with the help of laddle without kneading too much. 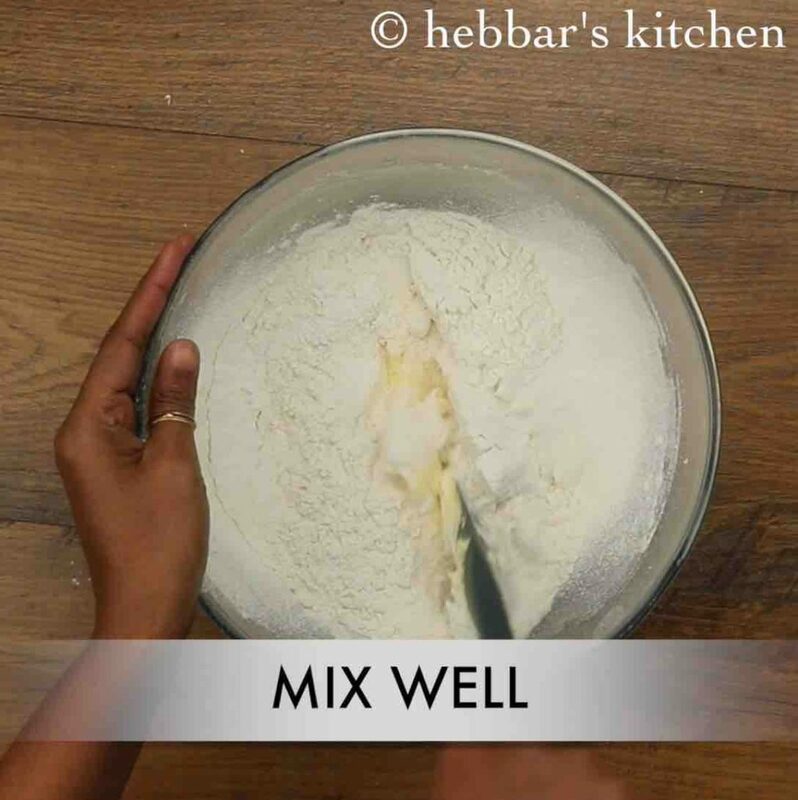 get the mixture together without applying much pressure. now pinch a small ball sized cookie dough and smoothen. press gently using a fork to make a design. 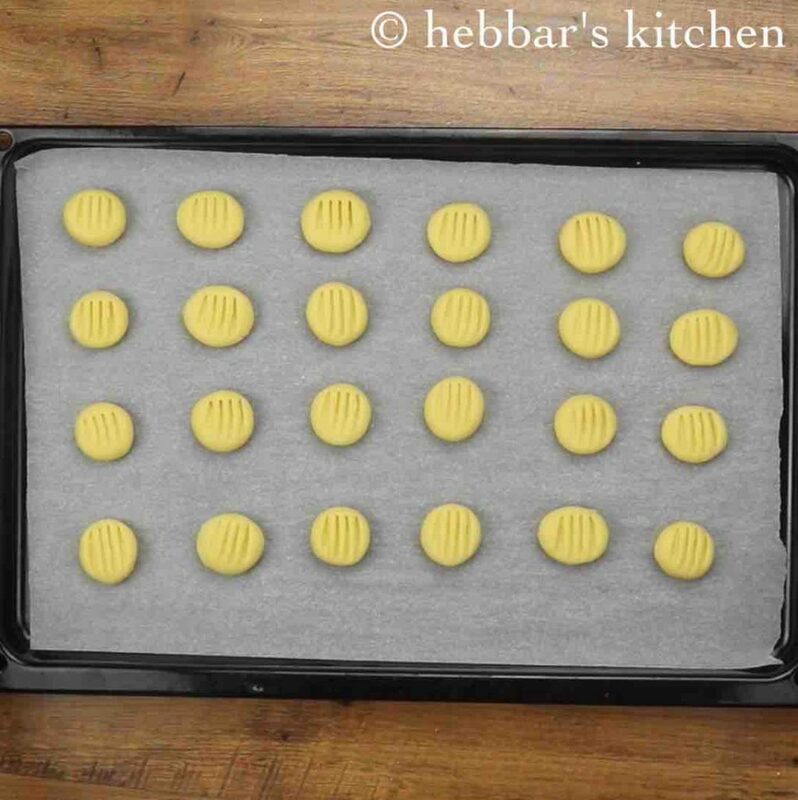 place it over a baking tray lined with baking sheet. finally, store the butter cookies in an airtight container and enjoy for a week. 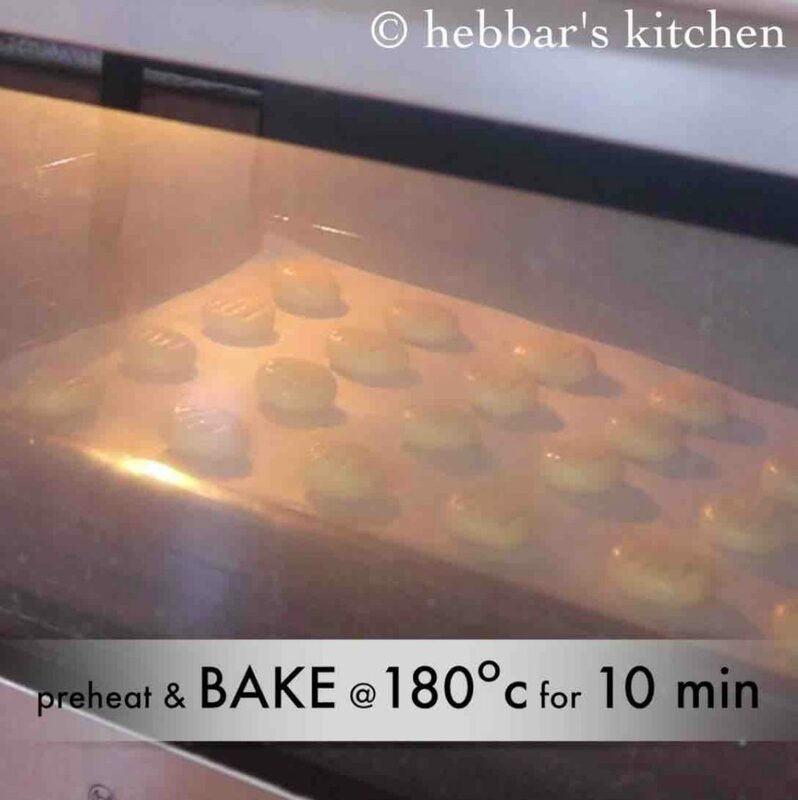 furthermore, bake in preheated oven at 180 degree celcius for 10 minutes or until the base turns golden brown. the cookie will be soft initially. cool completely and the butter cookie turns crisp and crunchy. 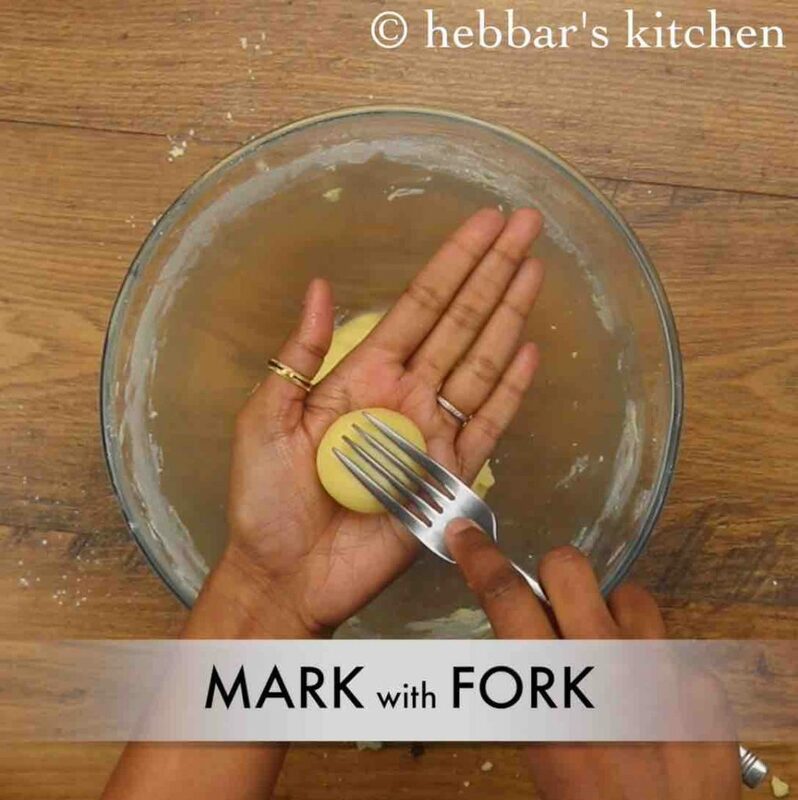 firstly, use room temperature butter as it is easy to beat. 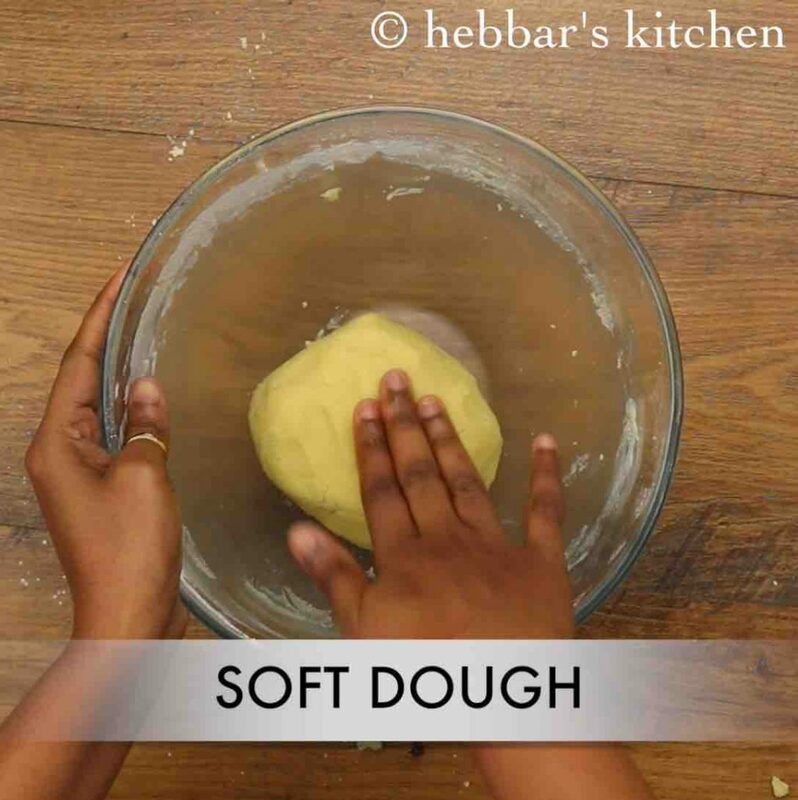 also, do not knead the dough, as it results in a hard cookie. additionally, add a few chopped dry fruits/vanilla extract to make it flavourful. finally, butter cookies can be shaped to any shape of your choice.